Why AAHail Over Insurance Suggestion? Phil, our owner and dent removal specialist, has been in the auto hail repair industry for 20+ years now. He is one of our lead auto dent specialists here at American Auto Hail Repair. This means he is one of the technicians on our PDR team in both CO locations who actually works through the process of repairing and fixing the dent damage caused by the hail storm. If Phil isn’t pushing dents at the shop, you can find him practicing Muay Thai, working out, or hanging out with his family. Stephen, also our owner and dent removal specialist, has been in the auto hail repair industry since 2009. He is one of the auto dent specialists on our PDR team at both CO locations of American Auto Hail Repair. This means he is one of the technicians who actually works through the process of repairing and fixing the dent damage caused by the hail storm. If he isn’t here at the shop, he’s probably working on his truck, doing some projects at home, or hanging out with his family and dogs. Zach is in charge of the entire sales team and sales side of the company. He handles and sets up AAHail sales events and business to business meetings. As a member of our PDR team in Colorado he is a dent removal specialist and an expert in the processes it takes to get a vehicle repaired. With expertise of how to set up claims for customers, explanation of the job, and outstanding customer service skills, he will be there for you through the entire process. He makes sure you find the right dent removal specialist for your car’s needs. 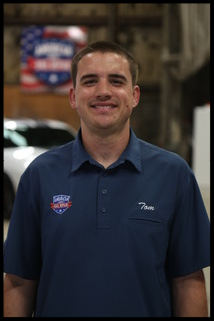 In addition to being on the PDR team Zach is a Colorado native and enjoys playing his banjo, working on his truck, and going up to the mountains when he isn’t filing claims and making sure customers are ecstatic about their auto hail repair. Will is in charge of the day-to-day processes of the office. This includes the creation of estimates on vehicles, the organization of all the paperwork that goes into the process and setting up of outside vendors such as our glass install company and our clear bra technician. He is also in charge of working with insurance adjusters to make sure your insurance company is working with our auto dent specialists and accounting for every dent on your vehicle so it can be properly repaired to the standards that our PDR team at either CO locations would expect. Will was born and raised in New York. He enjoys watching the Yankees and having a good time on the town when he isn’t battling your insurance company to make sure your car is done properly and completely. Jack is in charge of handling the day-to-day operations of the shop so our PDR teams at both CO locations stay busy. This includes the intake of vehicles and distribution to each car dent removal specialist, overwatch of the repair process, and quality control of the final product. He also is in charge of maintaining the digital marketing of the company via updates to the website and social media upkeep, so everyone knows where to find our auto dent specialists. 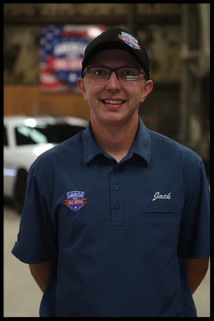 Jack is a Colorado native, who enjoys hiking, camping, and going out with friends when he isn’t helping get your car dent free and back to pre-storm condition! Mikey works with our PDR team in CO as an aspiring dent removal specialist and R&I (removal and install) technician. He works on his PDR skills on his off time at the shop. Other than perfecting this trade, he is getting to know the inside and out of each vehicle that comes through. 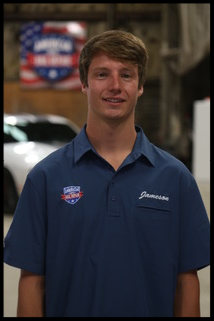 Mikey is in charge of taking each vehicle apart so that our auto dent specialists can easily access the shell of each vehicle and do each repair properly and with ease. After repairs, he puts each part of the vehicle back together just as it was before, replacing any parts that were damaged from the hail. When he isn’t at the shop, Mikey enjoys going to live music concerts and fishing when the season is right. Tom is a dent removal claims specialist for our PDR teams at both CO locations. His job is out in the field, scoping out vehicles with hail damage, and talking to the owners of those vehicles explaining how getting the auto hail damage fixed only benefits them. He is an expert in setting up claims for his customers, setting them up with their rental cars, and making sure their needs are met from the repair by our auto dent specialists. When you aren’t getting talked to about getting your car repaired, you can find Tom visiting live music events or going up to the mountains to ski the slopes. Jameson is another dent removal claims specialist. His job is to go out and about, knocking doors, and informing people about the PDR teams in Denver and Fort Collins. He explains how our hail damage specialists set the standards for the quality of our work, and he is an exemplary part of our superb customer service. When Jameson isn’t eyeballing cars for damage in the field, you can find him hiking somewhere in the mountains!